​Gotta be honest, not sure even football purists would approve of this drill. 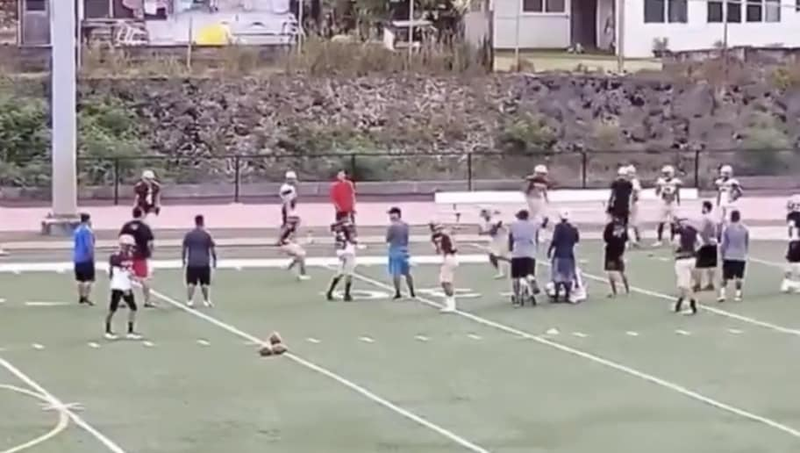 Over at Castle High School in Hawaii, they take end of practice Oklahoma drills quite seriously. So much so, in fact, that coaches gave these two players a running head start in ​what looks like an attempt to give each other a concussion. You'll understand more when you watch the clip. That's enough to get a coach fired, and in this case we hope the drill is outlawed. Given the overwhelming concern regarding head injuries in football, ​especially at the youth level, this should be seen as a disgusting act and nothing more. The high school, for some reason, has decided to retain their coaches rather than mercifully punting them into the sun. We can only hope they're forced to run this drill as punishment, rather than the players for once. Who Will Win Thursday Night Football?